The Eisack Valley makes the heart of mountain lovers beat faster with its wonderful mountain panorama, and not just in summer. the winter bestows the valley with its characteristic alpine flair and mountain romance throughout its iconic white snow covers, beloved and appreciated by our guests in South Tyrol. The safe snow conditions in the Eisack Valley offer more than just the possibility of taking wonderful winter pictures: they also invite people to practice some sport. Besides the lovely mountain trails that invite us to hike and go on tours with skis or snowshoes, we also offer you the possibility to visit the most beautiful skiing and hiking areas of the Dolomite Alps in the Eisack Valley FOR FREE. The “Ski Safari” makes it possible for you to leave your car apart and to be taken for free in the most beautiful winter areas of the Dolomite Alps. 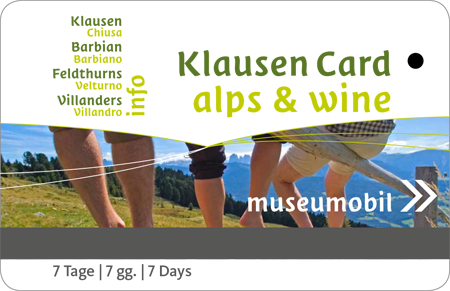 From 25.12.2017 to 01.04.2018, you have the possibility to be taken to another skiing and/or hiking area in the Dolomite Alps 7 days a week. The best part of it: the service is free for you! So you can use this unique opportunity to know and enjoy the surrounding skiing areas. The shuttle services take you directly from your accommodation to these mountain areas, and non-skiers are offered guided snowshoe walks, as well as winter tours, so they can spend their vacation days in the untouched natural landscapes of South Tyrol. Our Walterthof is located in the Feldthurns village: the perfect place to spend a calm and relaxing winter holiday. Besides the tranquillity of the place, Feldthurns is the ideal starting point for the free Skisafari Eisacktal and to discover the fairytale winter landscapes of the Eisack Valley. The surrounding skiing areas are located at a short distance, and for all those who love variety, the Klausen Tourism Association offers a ski safari tour as a free and special gift to our visitors. A shuttle bus takes you every single day of the week directly from your accommodation to another skiing and hiking area in the Dolomite Alps. No matter if you are either an enthusiastic skier that happily keeps going for several miles, or a relaxed skier who prefers the tranquility of skiing with your family: at the ski safari everyone finds whatever sticks to its own needs. In every skiing area, you have enormous possibilities to take multiple stops in the traditional ski lodges with the typical alpine flair to enjoy the delicacies of South Tyrol or drink a couple of “Schnaps” with your beloved ones, all that while you admire the whole lovely winter panorama. The deeply snow-covered world of the Eisack Valley doesn’t simply invite us to ski either in the traditional or in the cross-country stile, but is also the ideal environment for passionate hikers to spend a relaxing and wonderful winter holiday. We offer you beautiful mountain panoramas and deeply snow-covered forests at our mostly cleared winter paths that invite you to take a relaxing hiking trip, with or without snowshoes. Our snowshoeing trips have become a winter leisure trend that offers you wonderful opportunities to know the beautiful winter landscape while leaving ski tracks and slopes apart; you need no previous knowledge in order to live this wonderful natural experience in the world of the South Tyrol mountains, as the Feldthurns Tourism Association offers guided snowshoe hiking tours for every age group. 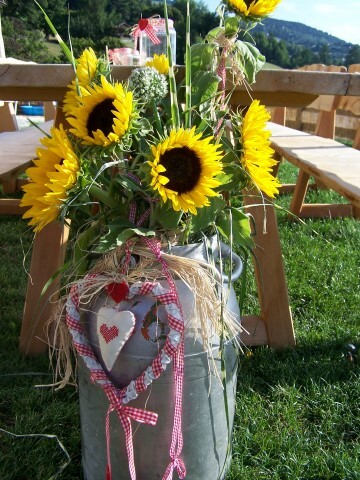 Besides the wintry mountain backdrops, you can also find lots of the typical South Tyrolean alpine meadows and mountain inns again and again: while in there, you can enjoy having a delicious lunchtime meal while taking a look at the winter sun and the deeply snow-covered peaks. In addition to the trips, you can also take a trip on horse-drawn sleighs to discover and admire the winter paradise of the Eisack Valley as a relaxing way to explore the whole winter landscape. 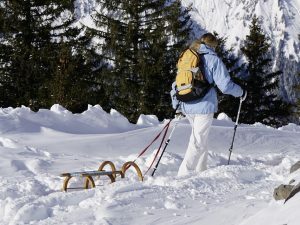 Even when you would prefer to hike with your snow shoes instead of skiing, from the end of December until the end of March, you can still benefit for free from a totally unique opportunity by going on our ski safari trip that takes you to explore and experience the most appealing South Tyrolean mountain backdrops. 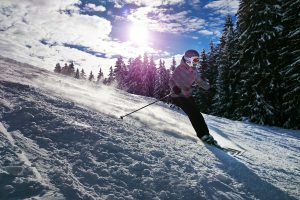 The local mountains of Brixen and the Plose skiing area offer visitors a variety of ski slopes for everyone, modern lifts, snow and fun parks, as well as the “Kinderland”, for the youngest skiers: all that and a lot more. The local mountains of the cathedral town of Brixen captivate visitors with its lovely 360° panorama view to the summit of the Dolomite Alps. The skiing area is spread through two out of the three peaks of the Plose mountains, precisely between the Plose and the Pfannspitze. The whole environment additionally offers a wonderful view to the third peak of the mountain complex: the “Gabler”, which is part of the UNESCO World Natural Heritage. 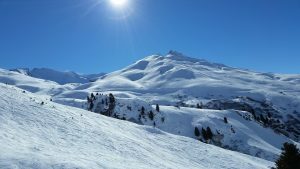 Yet apart from the impressive panorama, the Plose mountains has some stunning key facts to tell for all skiers and hikers: more than 24 miles in ski slopes and more than 7 miles toboggan runs; more than 7 miles in winter hiking trails, and 7 modern lifts speak for themselves. In the Funpark Plose, freestylers find everything that their hearts desire: besides an uncountable amount of events, snowboarders also meet ideal snowing conditions and the best lands for excellent boarding experiences. The great amount of restaurants and inns take care of providing the iconic culinary variety of this region in the ski and hiking areas: you can end your skiing day in the enjoyable environment of the many different après-ski huts. The skiing area Plose is located around 12 miles away from Walterthof and forms part of the ski safari offers of the local tourism association. 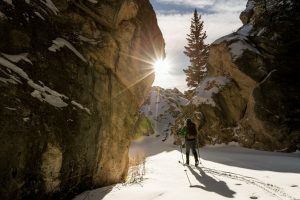 Cross-country ski trails in the Eisack Valley have earned a wonderful reputation: you can find multiple cross-skiing opportunities in peacefully located areas and valleys, which offer you excellently groomed trails and fantastic, dreamlike winter backdrops. Besides taking part in the multiple sporting challenges, cross-skiers also have endless possibilities of accessing many sunny shack terraces and staying in many different, relaxing snowy landscapes. 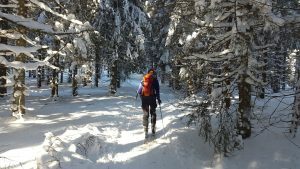 There are 20 cross-country ski trails in the whole Eisack Valley, all of them inviting you to live a splendid, snowy and safe winter experience: we always guarantee our guests the best quality when it comes to the maintenance of the cross-country ski trails, which they continue to praise again and again. The Eisack Valley also offers many wonderful opportunities to passionate sledders our many well-prepared tobbogan tracks guarantee the possibility of offering toboggan runs for the whole family. it is the longest South Tyrolean toboggan run, and extends itself from the mountain cableway station in Kreuztal to the valley station in the St. Andrä locality of Brixen, guaranteeing a good time for both the eldest and youngest members of the family. This track is always subject to careful preparation measures, and apart from enjoying a good and amusing toboggan run, you can also expect to see many lovely snow-covered forests and wonderful winter landscapes. 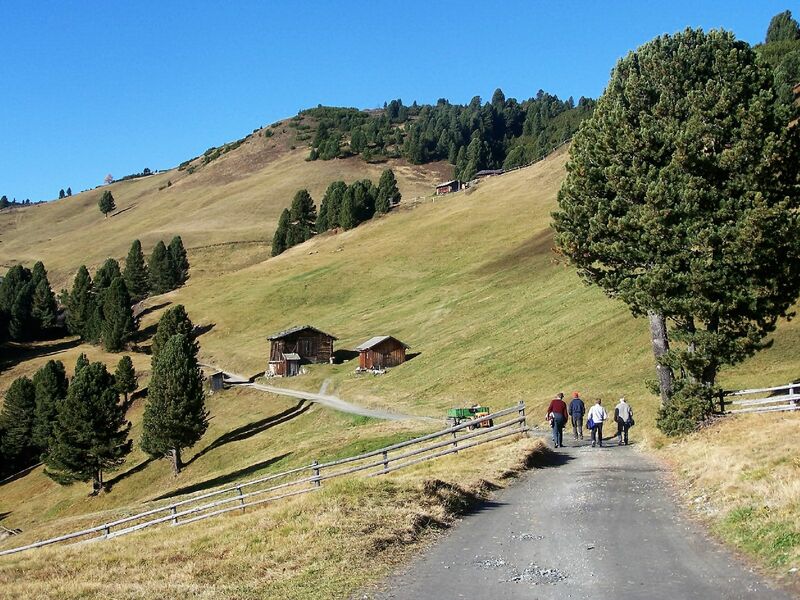 You can also find the natural toboggan track Lahnwiesen in the immediate proximities of Walterthof: an approximately 0.6-mile-long toboggan run located in the municipality of Feldthurns. You can even run through this track in the dark and while using floodlights, so you can have a pleasant and enjoyable sledding experience guaranteed for you and your whole family. 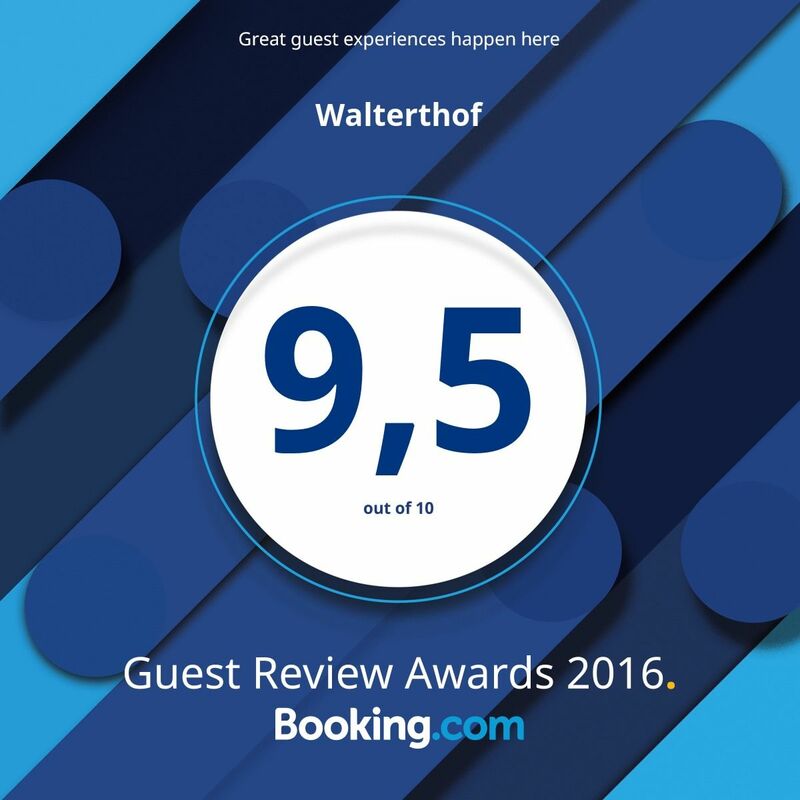 Welcome to Walterthof in Velturno – South Tyrol! We have the Klausen Card!